We love thinking outside the box! This is one of our latest signage designs for Dominion Meadows, a new home community by Hearndon Construction. Our goal was to feature a segment of the community’s logo in a unique way in addition to accentuating the entrance to the community. 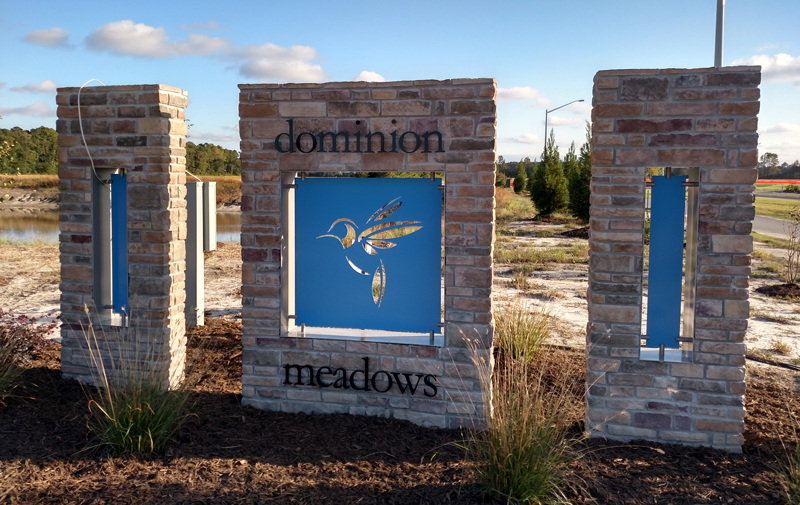 Dominion Meadows is located in the Grassfield area of Chesapeake.